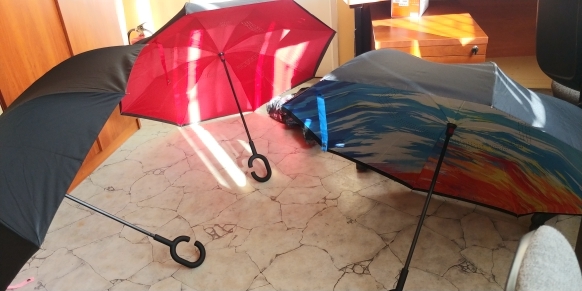 At last, some innovation for the classic inverted umbrella design! 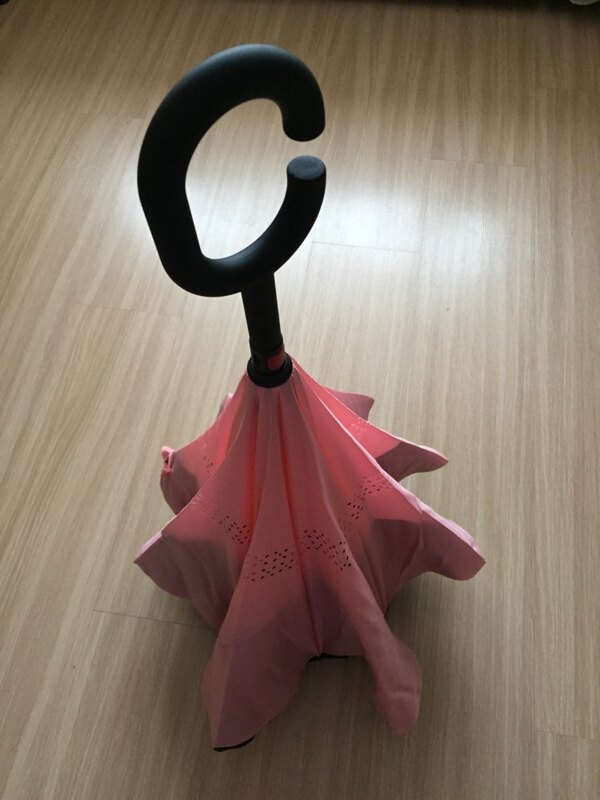 This unique and revolutionary reverse folding umbrella design stops you and your floors from getting wet, even after you're out of the rain! 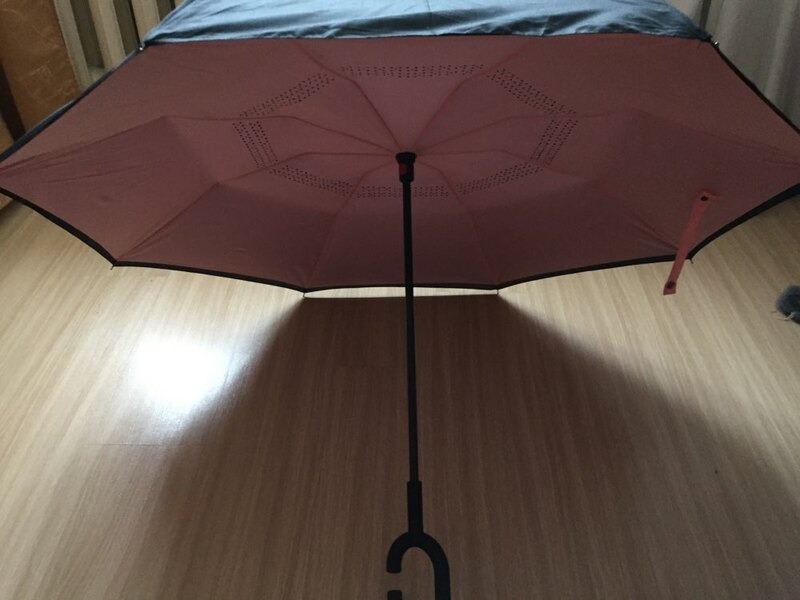 No more messy drips all over the house or car. 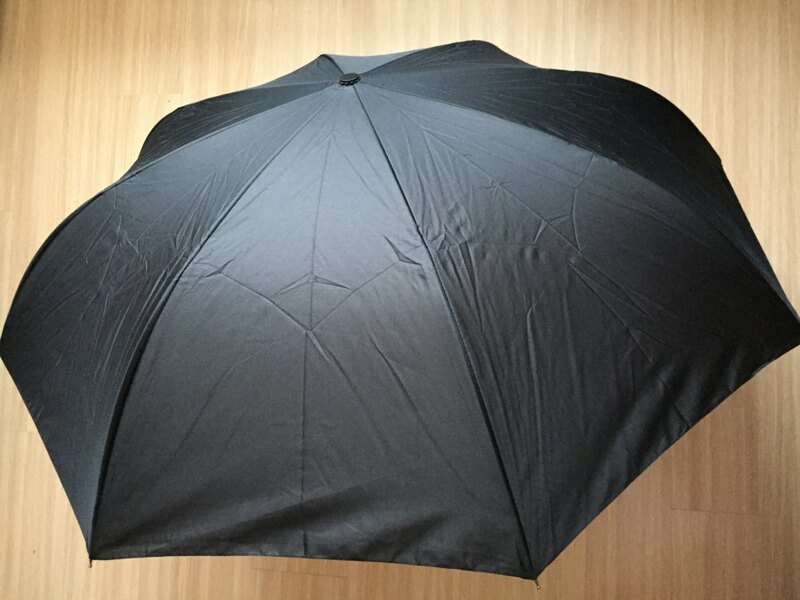 Made from high quality aluminum, water repellent-coating, and a double layer canopy, this really is the best reverse umbrella money can buy. 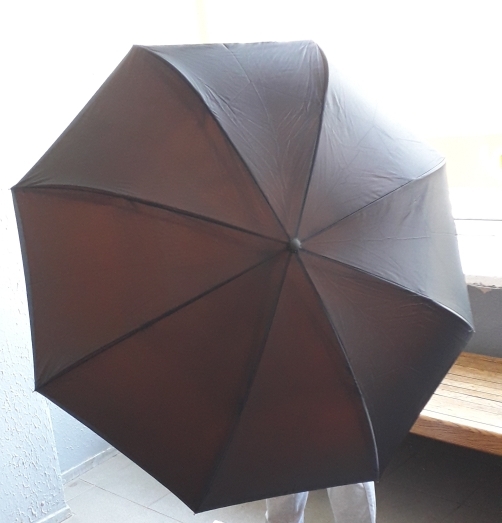 With a simple click of the embedded button, you can open and close the reverse umbrella in confined spaces and when entering or exiting a building or car. It's less awkward and safer to open and close when in crowds - the danger of poking someone in the face or eyes is gone! 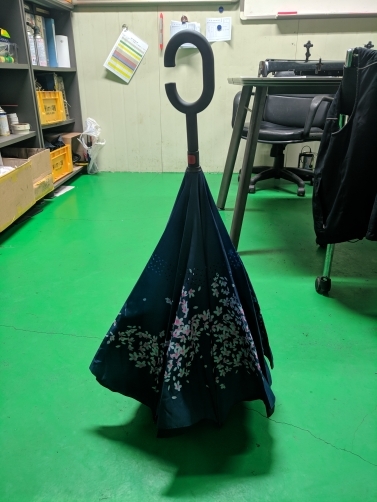 This inverted umbrella can stand up on its own. 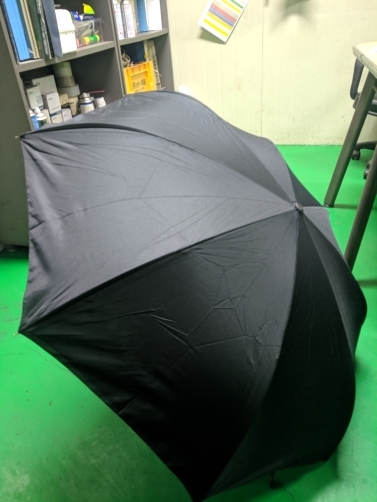 It will also keep the wet part of the umbrella inside once you've closed it, so things don't get dripped on when you put it away after coming indoors. 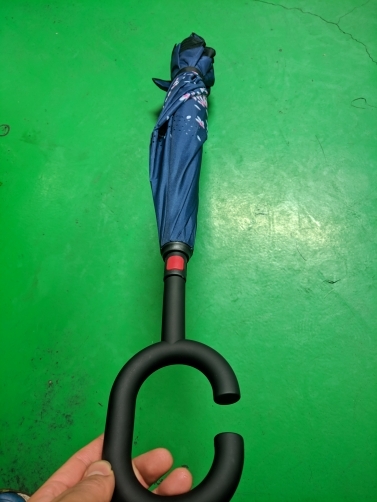 Remove the hassle of entering and exiting a car with your reverse umbrella. 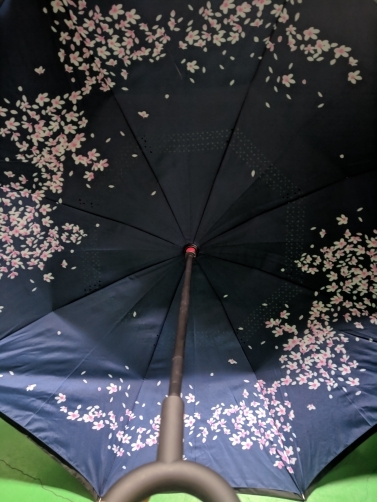 Perfect opening/closing angle to prevent you from having to get wet while getting in and out the doors. 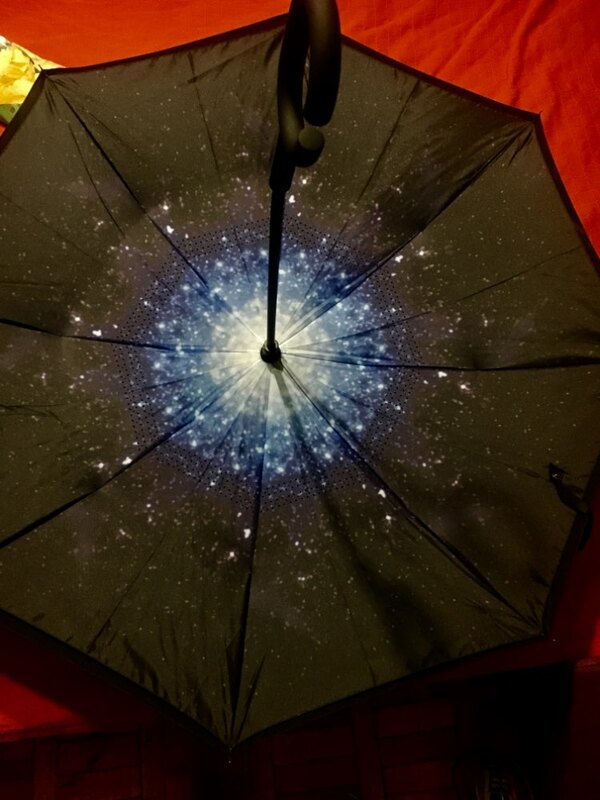 Amazing Umbrella , pleased with the bright color. 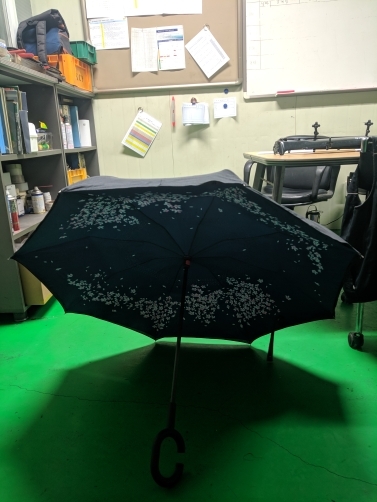 Everything is fine, fast shipping ! 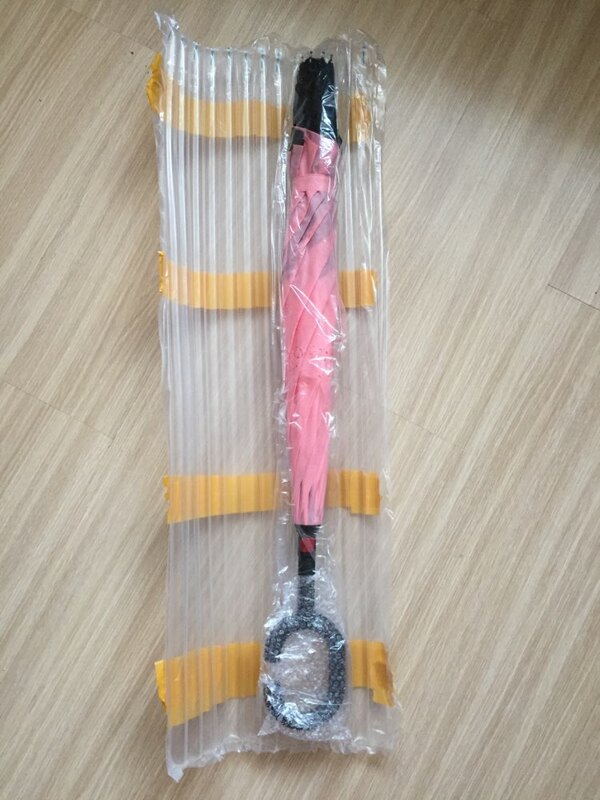 Good description, Fast shipping and delivery. 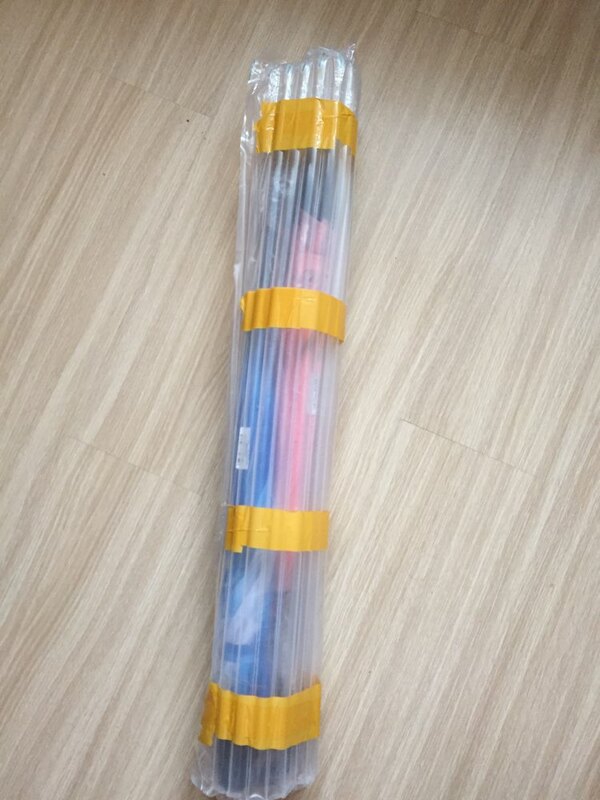 Product pretty good quality, well packed.